Have you ever seen a skunk on your property? Well, that just stinks, pun intended. It is no fun to have these stinky wildlife pests around. But do you know what stinks more than skunks? These wildlife pests can bring ticks into our yards. While you can recover from being sprayed by a skunk, illnesses such as Lyme disease, alpha-gal allergy, and chronic encephalitis can remain with you and cause lifelong medical complications. How about a squirrel? Have you seen one of those in your yard? They can be fun to watch as they scramble up a tree or chase each other around the yard. Do you know what isn't fun? When they bring ticks into our yards. Are you seeing a pattern here? Don't worry, we're not going to name every single mammal that can bring ticks into your yard. We're just establishing the first stage of a tick infestation. When birds, rodents, and larger wild animals come into our yards, they can bring ticks with them and introduce them to your property. Once deposited in our yards, those ticks will work their way toward the moist, shaded areas of our yard to hide. One of their preferred places to hide is in landscaping around the perimeter of our homes. This is stage two. Stage three is when the ticks find their way inside the house. But how they get in is a little different than other bugs. Spiders, ants, millipedes, centipedes, silverfish, and a whole host of other pests find holes, gaps, and cracks in the foundation or exterior walls of our homes to squeeze through, while ticks lay in wait in our landscaping or other areas around our properties for a potential host to pass by. They'll climb to the end of a piece of grass or crawl out onto the edge of a leaf and stretch their arms out, waiting for a chance to climb onto passing mammals such as rodents, raccoons, dogs, cats, or even a child playing hide-and-go-seek. After making their way onto this new host, it’s only a matter of time before they get carried inside. If a tick clings to a child or adult as they pass through an area of landscaping, that tick will be a straight journey into the house right through the front door. If the tick climbs onto a rodent, it will take a slightly different route into the home, perhaps through the wooden frame of a basement window or through rotted siding underneath good vinyl siding. When ticks find their way into a home on people, it can be quite difficult for them to take root. Most ticks, with the exception of the brown dog tick, can’t live inside a home for long. But they don't have to. They can feed on the person they came in on or move directly to someone else in order to get the blood meal they need. When ticks come into our homes on our pets, an infestation can sometimes take root in their bedding, but again, they don't have to. They can pass from a cat or dog directly to a human when they first enter into the home. Tick infestations usually occur alongside a rodent infestation or when brown dog ticks find their way into a home. Brown dog ticks are the only ticks that can complete their entire life cycle indoors. Other tick species rely on animals such as rodents, birds, bats, squirrels, raccoons, and other wildlife to continually carry them into our homes in order infest as they cannot reproduce inside our homes and do not survive long once indoors. And rodents such as mice and rats are the best at spreading ticks around inside our homes. These rodent will search a home from top to bottom while foraging for food. As they crawl around, they spread ticks, fleas, lice, mites, and other parasites throughout the home. Since ticks can get into our homes in the ways listed above, routine perimeter treatments and rodents and wildlife control is needed to keep these pests out. These services will reduce the tick populations in the yard and help reduce the risk of ticks finding their way inside. The good news is—and yes there is good news—when you invest in tick reduction you are also investing in mosquito reduction. That’s right, tick control can also help eliminate mosquitoes! So, essentially, you are killing two birds with one stone, and by birds, we mean dangerous, blood-feeding pests. There is no better way to protect your family from the pathogens spread by mosquitoes and ticks! 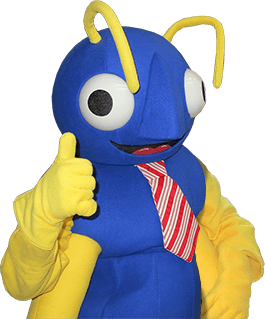 If you'd like to learn more about the mosquito & tick control from Big Blue Bug Solutions, we’ll make it easy. It's all right here in one place! Give us a call to learn more.